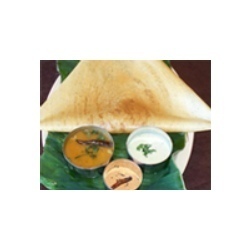 We are counted amongst the foremost providers of South India Cuisine. Our food range is famous for the availability of coconut, a wide variety of fishes and root tubers. Further, our range mainly comprises rice, which the south Indian people love to eat with a combination of Sambhar or curry.